Window Fix Direct - Fascia/Soffits/Guttering, Roofer, Windows/Doors/Conservatories based in Westfield Sole Road, Kent. 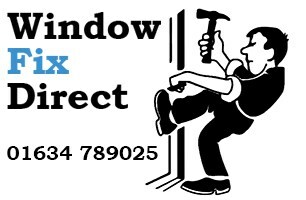 We at Window Fix Direct Ltd are proud to offer our Double Glazing Repairs and Installation services throughout Kent. Trading for over 30 years our expertise and knowlege in the industry is excellent. We pride ourselves on customer service and communication throughout every job no matter how small. We are proud members of Medway Fair Traders, Fensa and the GGFI so with Window Fix Direct you are safe in the knowledge that every job will be handled to your requirements and satisfaction. Works we undertake range from changing glass units, locks, handles and hinges all the way through to replacing your windows and doors. We specialise in conservatory roof repairs and installations as well as the the Insulated warm tiled conservatory roof conversions.